Did you know you’re one click away from translating up to four differential inputs to one differential output? 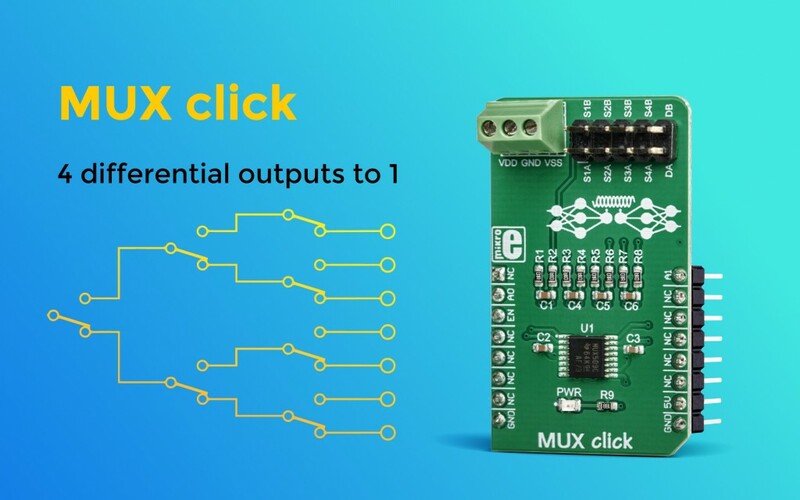 The click you’ll need for that is MUX click. It employs the MUX509, a modern CMOS analog multiplexing integrated circuit, produced by Texas Instruments. These features make MUX click a perfect solution for various switching applications, especially those that utilize differential signals.